Automotive battery backup system. 12 volt DC UPS module keeps 12 volt equipment alive in cars and taxis using an external sealed lead acid battery and acts as a battery back-up (BBU). Click here for the 12 amp version. This little gadget solves several problems for electronics in cars. First it allows you to charge an external lead acid battery from the car's electrical bus. Second it isolates the extra battery from the car so it won't be discharged by the car electronics, and it won't try to participate in starting the car. Third it powers your equipment in the car using the car electrical system, but switches to external battery power when the car's battery is stolen, or drops below a predetermined voltage. Fourth, it prevents the external battery from being over-discharged, keeping it from being damaged. Fifth, it prevents your equipment from running the car's battery down so the car can't be started. In one configuration it cuts off the car's battery when the voltage gets below 13.1 volts, then switches over to the external battery, in other words it switches over to the auxiliary battery when the engine is shut off and the alternator stops. In another configuration the crossover voltage is lower, say 12.0 volts. This allows your equipment to run off the car's battery but cut off while the car's main battery still has enough power to safely start the engine. To solve these problems we invented this automotive uninterruptible power supply control module, or car battery backup system. 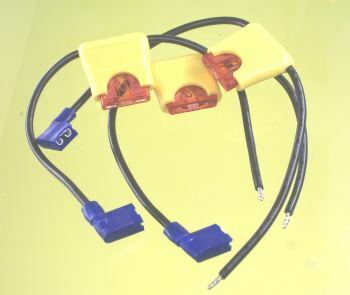 The idea is that you can connect the module to the car's electrical bus and it will charge an external 12 volt lead acid battery of your choice. Your equipment, which can be a small computer, telemetry equipment, or a car alarm, is connected to the module. This equipment runs off the automobile's electrical bus until the voltage of the bus drops below a preset voltage, the "N" voltage (from 13.1 to 11.9 volts, depending on your needs). Then the external battery takes over. When the external battery drops below the "P" preset voltage (Between 10 volts and 3 volts depending on your requirements) the power is cut off to either prevent damage to the external battery or to run your equipment as long as possible. The same battery backup controller in a box including a battery, fuse, and terminals. 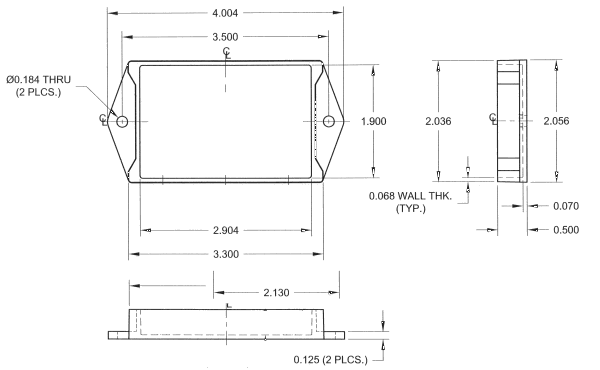 The PST-DC-UPS-1212 can be ordered with a range of "N" and "P" values, as explained in the following table. Suffixes* Voltage at which car battery is cut of from the load Voltage at which auxiliary battery is cut off from the load Why? N11.8 11.8 ±0.1 volts Allows the load to be powered by the car battery most of the time but still start the car. 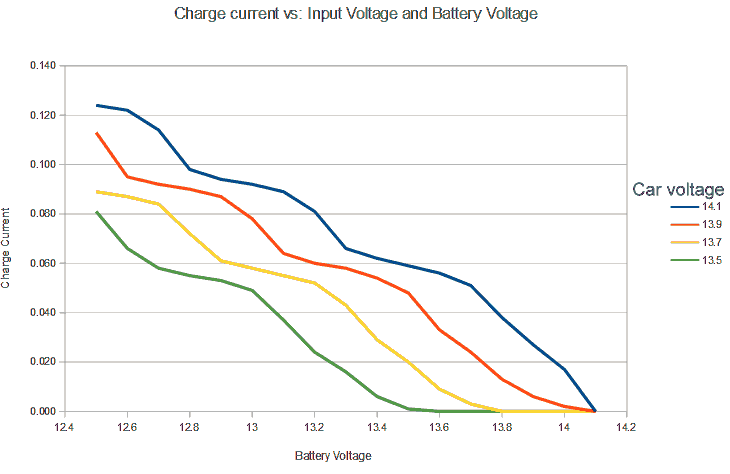 P10 (most common choice) 10 volts When deep cycling of the auxiliary battery is desired. 1. Q: My application needs more pass-through current, what can I do? A: We have a new module with power up to 120 watts. Click here for details . 2. Q: When the module turns off because both batteries are below their set points when does the module turn back on. A: The module turns back on only when the car's voltage is restored to the proper charge voltage. A new auxiliary battery won't turn the module back on. 3. Q: What do you have for 24 volt systems? 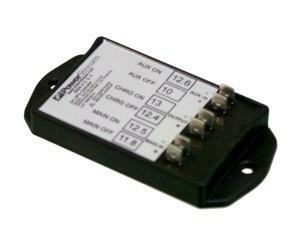 A: Use the 24 volt version of the 10 Amp backup module which will use 24 volt auxiliary batteries in a 24 volt vehicle. 4. Q: I need a signal to tell me what the status of the UPS, whether it is on the main circuit, the auxiliary battery, or turned off. A: Consider using the PST-DC-UPS-1212-5A, which signals the UPS status by sourcing 300 mA at 12V to run LEDs, relays, etc. 5. Q: I am charging a very small battery with this, the 400 mA charge rate is too high according to the battery manufacturer. The PowerStream UPS was a chance, lucky find. In spite of my electrical knowledge shortcomings, the system adapted beautifully to my Brammo Empulse R electric bike, - Im sure the only such application to any Brammo model bike. The system does everything as advertised and despite my misgivings about the UPS controller, the final version with adjusted set-points works perfectly even to charging the backup battery. I now have a continuous uninterrupted power source required by my Scorpio motorcycle alarm system and I managed to fit everything into probably the tightest of available spare space of any bike, electric or ICE. Thanks to you and crew for the patience and knowledge that made this project happen, and happy holidays to you all.